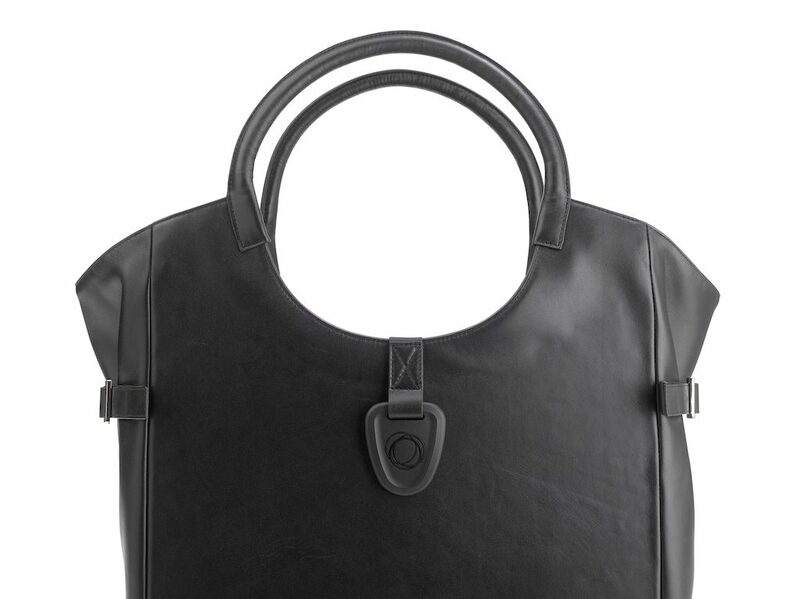 There is no fashion piece more iconic than a black leather bag. Black is chic, classic, and sophisticated. Black has an edge. That is why we are keen to introduce our new collection of Bugaboo by Jannissima bags in all black. The Bugaboo by Jannissima black-on-black collection is the perfect companion for your Bugaboo Boxer. 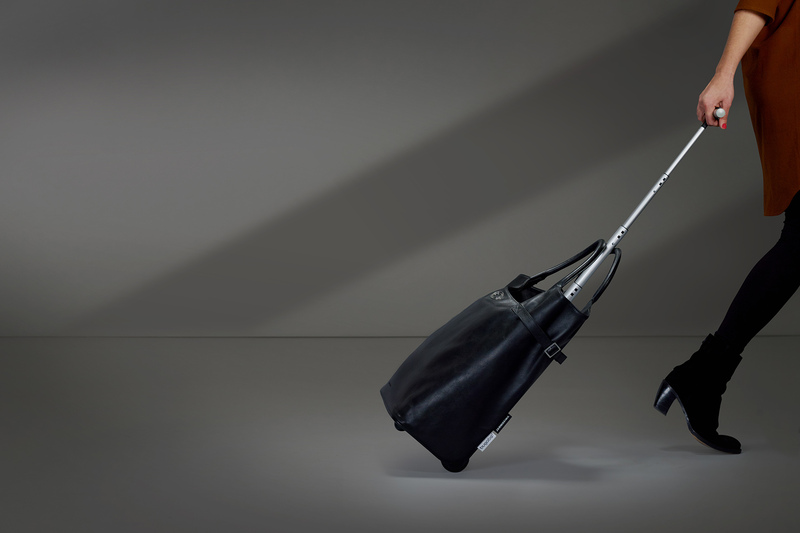 The line is comprised of three all-black bags: The Large Trolley, the Medium Trolley, with their retractable handlebar and smooth-roll wheels, and the Large Handbag. 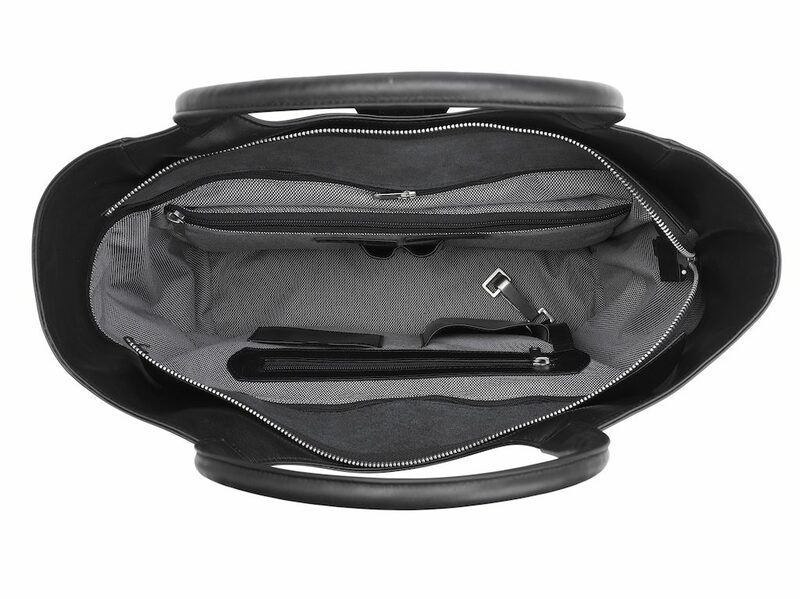 Each bag is designed to hook right to the front of your Bugaboo Boxer cases, so you can use the luggage system’s revolutionary push steering to transport all your belongings together in front of you. The Bugaboo by Jannissima trolleys and the classic handbag can also be used on their own. More than a stylish way to carry your things, these versatile bags make moving through everyday life effortless and easy. 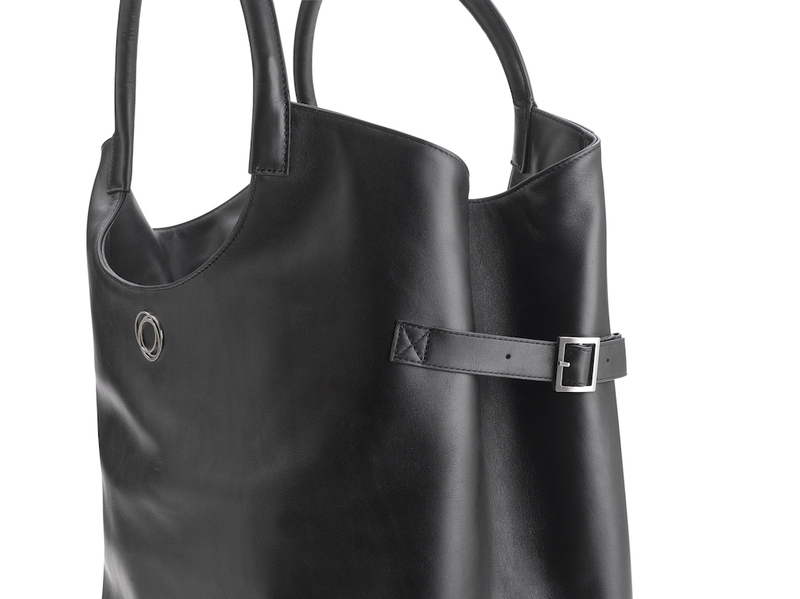 Minimalists who love having that one bag that does it all: this is your dream come true. Each trolley was designed to be adaptable. 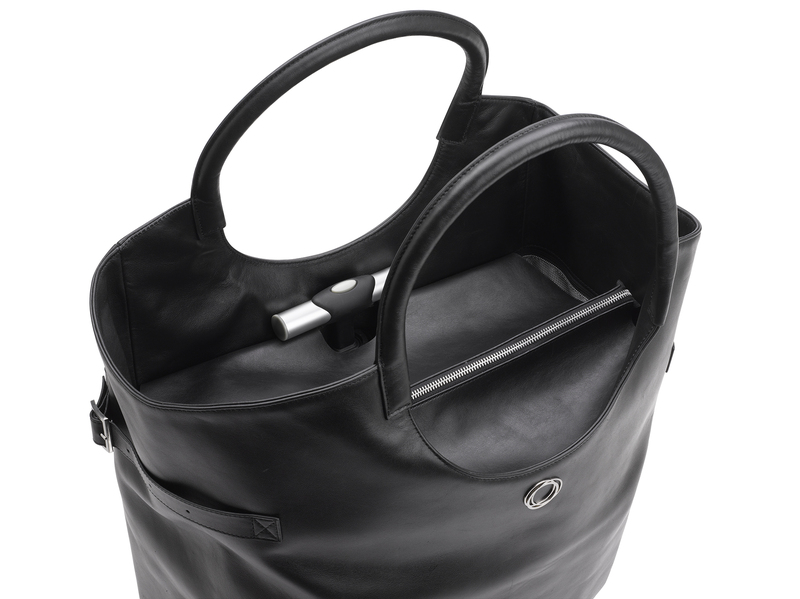 They feature a unique 2-in-1 design that allows you to switch them from handbags to roller bags in one swift motion. The telescope handle extends from the trolley so that you can roll it behind you, and it tucks back into the bag when you want to carry it over your shoulder. 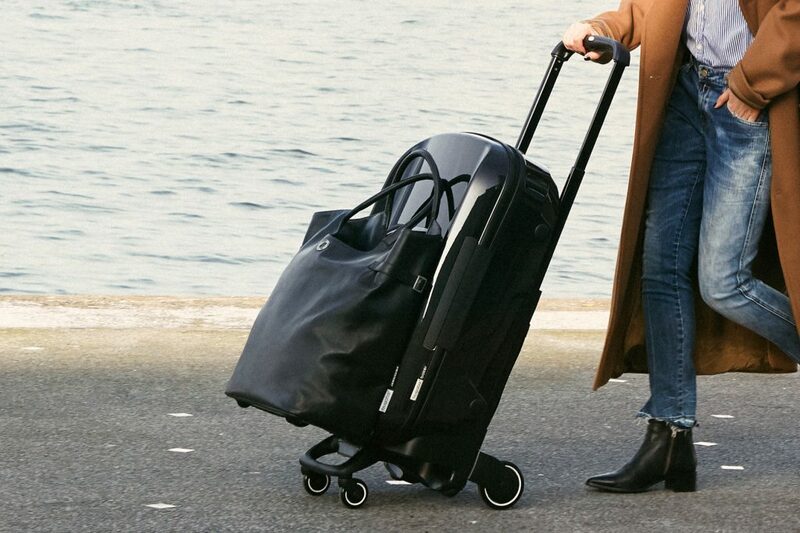 This unique functionality gives you unparalleled control of both your look and your travel style and highlights the luggage system’s commitment to versatility and clever design. This technology creates an adaptability that is perfect for using about town, during your workweek, and when you go for extended travels abroad. The organizational inlay is handy for people who like everything to have its rightful place. The pockets and pouches inside will neatly order it all: from business documents to passports to cell phone. 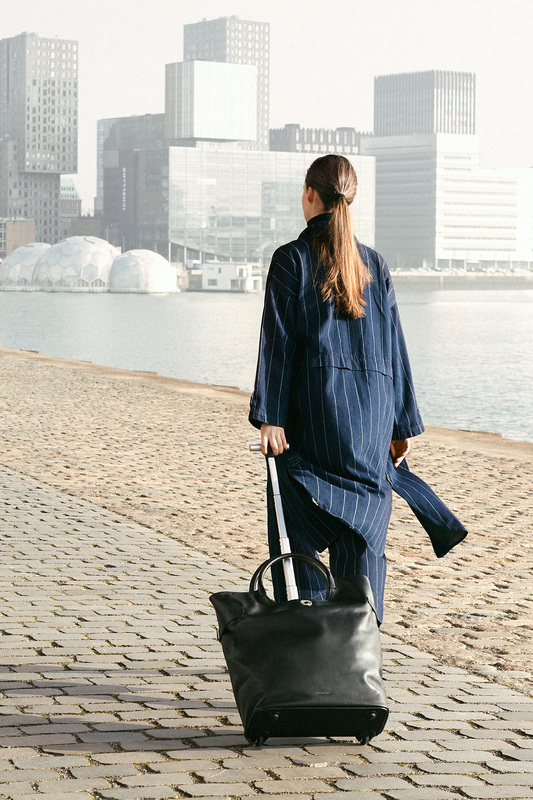 Dutch designer Jannita van den Haak first caught the attention of Bugaboo Chief Design Officer Max Barenbrug with her innovative label of travel goods and handbags: Jannissima. The two designers had something important in common – they are both obsessed with finding beautiful solutions to modern mobility challenges. Their shared passion brought Jannita to team Bugaboo. The result is the stunning Bugaboo by Jannissima collection. Jannita joined the team of Bugaboo designers working to develop and style the Bugaboo Boxer. While working on the Bugaboo Boxer, she and the team began creating the Bugaboo by Jannissima collection. As a starting point, the Bugaboo team worked to refine the Jannissima roller bag to enhance its smooth ride. Alongside Jannita, the team perfected the details of the collection and created a system that allowed the bags to connect directly to the Bugaboo Boxer. Available on February 2, 2016.